Does Chiropractic / Physical Therapy work for Back Pain? Maybe you are part of the 85% of Americans that will suffer from back pain at some point in their life. Maybe that point in your life is right now. If that’s the case, first of all, I’m sorry. I know it’s no fun. I’ve been there before myself. Back pain costs employees and employers billions of dollars of lost work time and wages every year. In fact, it’s one of the top reasons people go see a doctor. 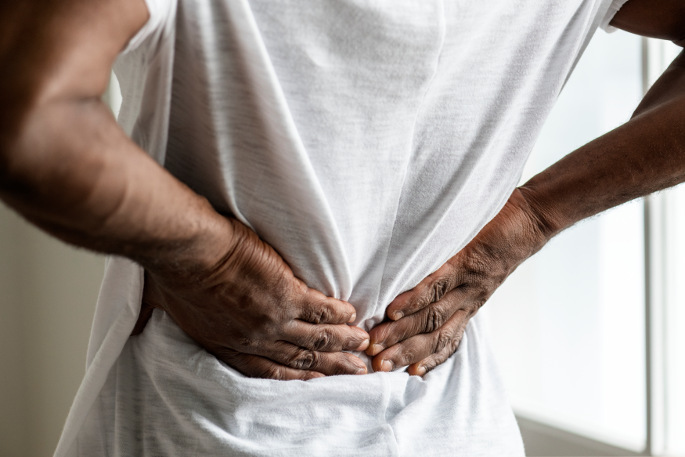 Back pain can keep you from doing the things you love such as playing with your kids or grandchildren, traveling, playing sports like softball, pickleball, basketball or golf. While most doctors see a lot of patients that have back pain, not all doctors have the same training on what to do with it. This is not intended to be a “knock” on any doctor and their treatments. We have different experiences with patients and doctors (most of them) all want what is best for their patients. A traditional primary care doctor or family medical doctor might start treatment with muscle relaxers or maybe an anti inflammatory or even possibly a steroid pack for 5-6 days. If the pain continues, they are likely going to refer you to a specialist, likely either physical therapy or orthopedic. Because there are so many possible reasons as to why someone is experiencing back pain, our approach starts with a very thorough exam by our medical staff and will likely include diagnostic testing such as x rays or nerve testing. Our staff of doctors then will have a special meeting to talk about you and your pain. When we are confident we know the cause of the problem, we will move forward with treatment recommendations. We want to be confident that we are doing the absolute best possible treatment for you and get you feeling better as quickly as possible. Who has time to be in PAIN? Now that you know how the process works, you might be interested in finding out what is causing your problem. Perhaps you are going to wait and see if it gets better by itself. Those are the words we hate to hear the most. “I thought it would get better by itself.” These are the patients who have waited so long that the pain is so intense that it now takes them longer to recover and they don’t get the same results. We work very closely with the medical communities of Palm Coast and Edgewater and will communicate closely with your primary care doctor to make sure we are on the same page. Other good news: You don’t need a referral!